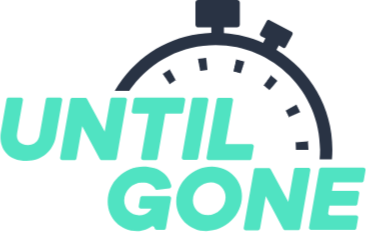 The UntilGone.com 30 Day Warranty is your assurance that, from the time you place your order to the time you evaluate your purchase, we’ve got your back. It works like this: we anticipate that from the time you place your order, it goes to fulfillment and it’s shipped, approximately 3-7 days have passed. From the time your order is shipped, you then have 21 days to report any issues with your order (not delivered as expected, damaged/defective on arrival, not as expected, changed my mind). We will respond to your request for replacement or refund and we act on your behalf to resolve the request. If 30 days have passed from the time you place your order to the time you contact us (exclusive of other issues such as shipping and delivery), your item is out of warranty. Please note: some products on our site have a 60 Day or 90 Day UntilGone.com warranty. The same basic terms apply to these warranties.